The t-shirt company Threadless throws a competition every year called Threadcakes. 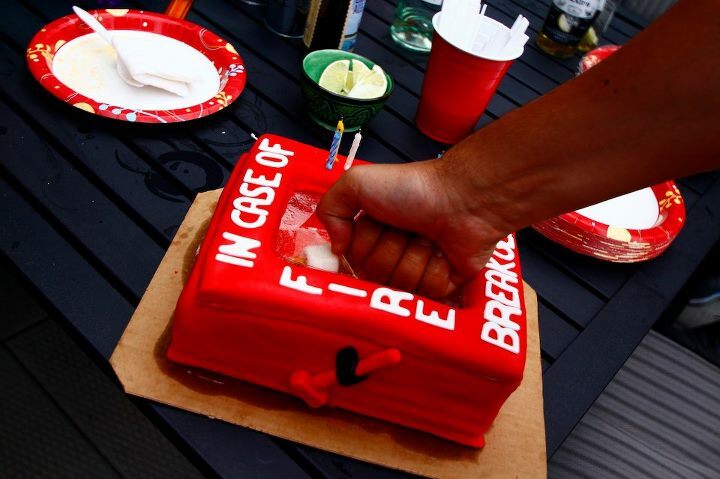 The rules are simple, make any of their t-shirts out of cake, take pictures and then submit it to their site. People get super crazy and serious about it. I couldn’t decide which cake to make so I’m going to try 3 of them and pick the one I like best and submit that to the contest. I picked this cake because I wanted to try my hand at sugar glass. I used a product called Isomalt which is essentially sugar but it melts down to a very smooth and workable state. I melted it in a pot and then spread it out on a silicone mat to make a window pane. The other challenge was making the hallowed out part of the cake. 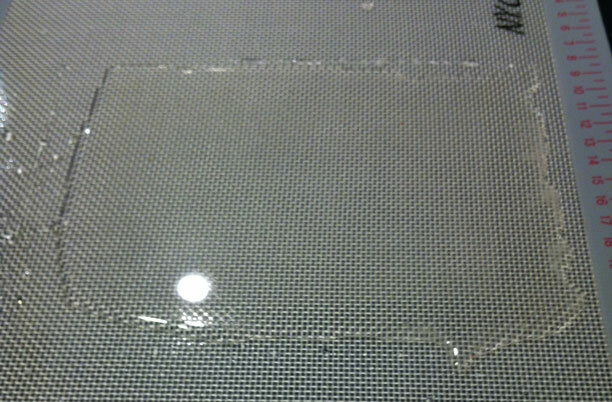 What I did was bake a very thin and stiff sheetcake and cut strips to make a frame. I stacked a few of them directly on the bottom cake and then covered that in fondant. To make the top frame, I used 1 set of cake strips and lots of frosting to hold it together and then covered that in fondant as well. 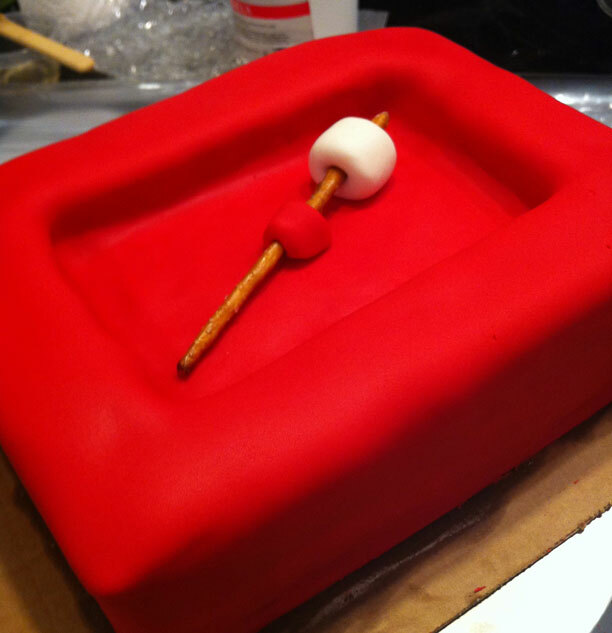 The stick is 2 pretzel sticks joined together and the marshmallow is fondant. I made the lettering, lock and hammer out fo gum paste. 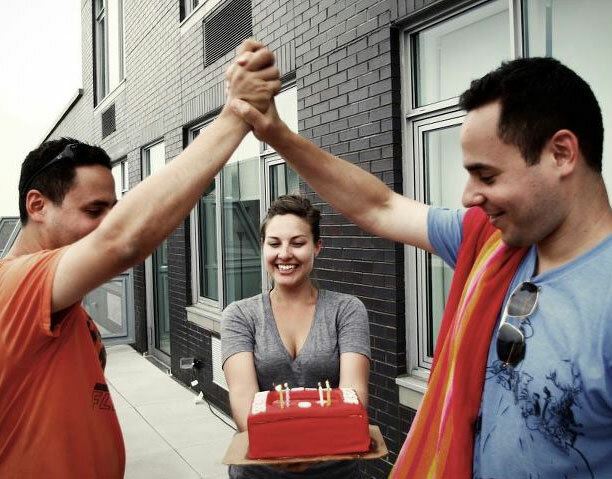 My friends Jason and Jordan (twins) were having a birthday party so it was the perfect opportunity to bring them a cake. It was well enjoyed.